Hello and Welcome, my name is Moose and this is my small byte of Cyberspace. This website is dedicated to the purpose of introducing myself and establishing a presence on the World Wide Web. Since you’re here now why not grab yourself something to drink, make yourself comfortable and get to know a little about me. On this site you’ll find pages that will help you along the way. There’s one that details who I am, where I’m from, my beliefs, interests and more. I have photo albums on this site of myself,, family, pets and, other things that I play around with. There’s a page that I’ve dedicated to sharing with you the places on the Internet that I frequent that you might find interesting, or at the very least will tell you a bit more about the things that interest me. I’ve even got a page where you can go and kill some time mindlessly playing some old time arcade games like Pac Man and Space Invaders, games that I myself like to play. 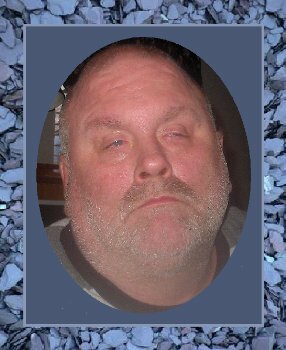 Also please feel free to meet some of my family and friends by browsing through my Guestbook and, feel free to leave a comment there if you so desire. If the color in the ticker below is 'Yellow" stop long enough to read it. It is alerting the public of yet another priorit case of a missing, exploited or, aboandoned child. If that alert originates in your state or area it's possibly you've seen that child or know something that could aid authorities in finding that child and possibly saving thier life. © Copyright 2010. Use of any site content without owners permission is strictly prohibited.